You are now at a crossroads. This is your opportunity to make the most important decision you will ever make. Forget your past. Who are you now? Who have you decided you really are now? Don’t think about who you have been. Who are you now? Who have you decided to become?Make this decision consciously. Make it carefully. Make it powerfully. 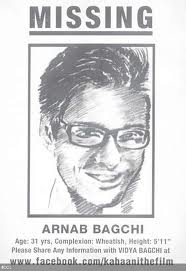 A student passing out of college has various options in front of him; whether he should take up a safe corporate job or do an MBA or follow his heart and become an entrepreneur or do something different altogether. 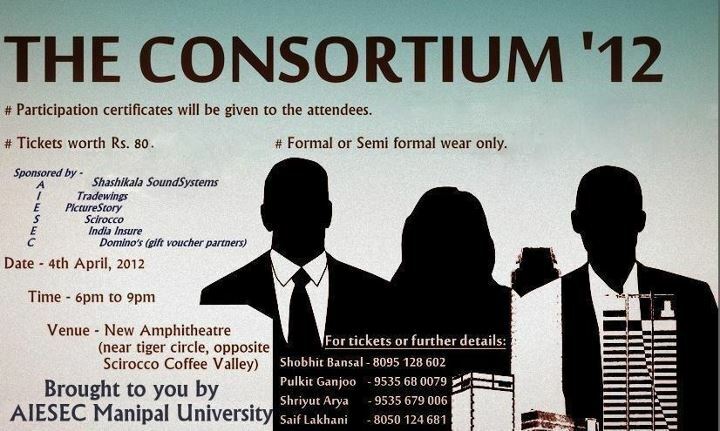 AIESEC Manipal University brings to you The Consortium ’12 where it shall bring together the best professionals varied sectors and fields and help the student decide as to what his calling is. These are not just names, these are titles synonymous with ideas. These are people who have not just done greater things in life than most of us are able to for our own selves, but have left the world with ideas and established the fact that Entrepreneurs not only make profits but very well can revolutionize the way things are taken in the world. Most of them started early, at the age we are in right now, or probably a little late when an idea struck them. How did they do it? Obviously there was a motivating force behind each one of them but where did they get the skills, the connections, the resources and the knowhow from. How did they come to know what kind of decisions they need to take in order to understand people or in business terms, their market? More importantly, how can we start doing it at this age? Nowadays we see more and more number of young people starting their own ventures. 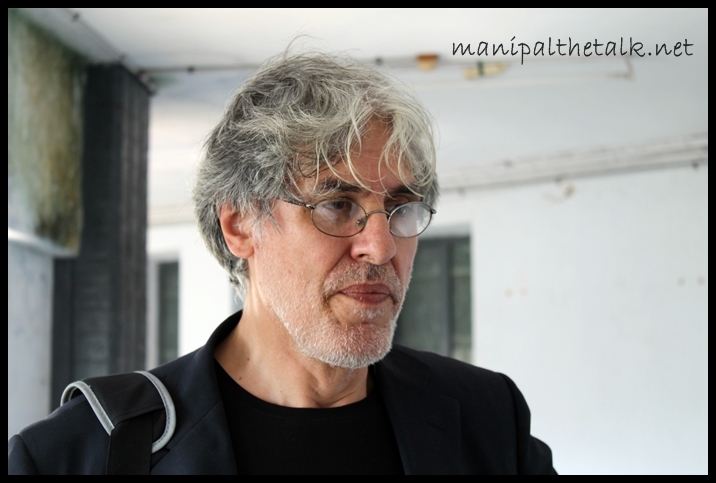 In Manipal itself we have examples of people walking among us doing great things. In order to connect the dots ourselves and bring that idea into an implemented plan of action, we need resources and a platform. So we as an anonymous group of students bring a seminar on how you can turn your ideas into achievment. Hear it from people who have done it before, learn it from people who are doing it already. Take back with entry into a platform through which you can explore, connect and achieve. Youth Leadership Summit- happening this Monday, A.C Seminar Hall, 5 PM. Enter with an idea, walk out with a motive. Emanuele Nicosia, a graduate from the Royal College of Art in London, has more than 30 years of experience in designing production and concept cars. During his stint with Centro Ricerche Pininfarina, he worked with some of the world’s most renowned brands, including, Ferrari, Alfa Romeo, Jaguar, Peugeot, Cadillac and Honda. Presently he heads the Automobile Design program at DYPDC (Center for Automotive Research and Studies) which is an initiative by the DY Patil Group and Indian designer Dilip Chabria. Q. There is a time in each student’s life when he decides what he wants to pursue further academically. So, when was that moment for you? A. Let me tell you an incident from my childhood in Turin, Italy. I was out on a walk with my grandfather when my uncle joined in. The conversation that we had has stuck out till today. My grandfather told my uncle that he disliked going on walks with me as I would go hug every car wheel I could on my walks. My mother always had to clean up my clothes which got dirty in the act. That was the kind of passion I had for cars, since I was 2 years old. What fascinated me was the shape and design of the cars. Q. What does a car mean to you? How do you see it, as a designer? A. Cars are merely not metal bodies, they are Creatures. Creatures with beautiful souls! Q. Which of these do you drive? A. Well, I own an 1979 Spitfire, The Alfa Romeo Duetto, a Fiat 124 Sport, the BMW 530 to name a few. Q. A further look into your fleet, which bikes do you spawn? A. A Ducati 888 Superbike, the Ducati 900 Monster, and the Yamaha FZR 1000. Q. What is the difference between the designer of yesterday and of today? A. Earlier, there were designers who specialized in specific designs. So companies offered their design work to them. For Example, designs of the Hood. Some used to specialize in the curved design while the sharp-edged hood was another designer’s forte. So the mainstream entities used to employ them according to the design they wished to float. Now, automobile design has been commercialized. A good car designer today must be good at automobile design on the wider perspective but his niche or USP had more of an importance yesterday. A. India has a niche market for automobile design. It offers a lot of scope of development for car companies and car design. Indians are very creative and intelligent. Automobile design needs to be reintroduced in India in such a way that tomorrow Indian companies are able to compete internationally with the world’s best. Trend-Marketing is what one looks for and going by that the Asian countries, they have to and will blossom in the near future. Mauro Forghieri is like God to me. I am very good friends with him. He also has worked on similar lines at Ferrari and Lamborghini. He is also the co-founder of the Oral Engineering Group. He has also been involved actively in the Moto GP with BMW. Q. Would BEE Studio along with DYPDC Institute be conducting Internships for students anytime soon? A. It is too early to speak much on that but once BEE Studios sets up completely in India with collaborations with other major car giants, we’ll certainly be looking forward to offering 2-month Internships to students. Q. A message to the students of MIT. A. I would say that, passion for Automobile Design can’t be imbibed or inculcated. It is a born quality. Although there are a lot of good students herein, failure to be the best does not mean one isn’t talented. It sets up the base or the tone for design on the wider scope. Tigmanshu Dhulia has time and again proved that he is a master at narrating gripping tales. If you thought Sahib Biwi Aur Gulam was a flash in the pan, then you have to watch Paan Singh Tomar.You would agree that this is one of the finest biopics to come out in the history of cinema. This fact certainly augers well for our very own ‘tinsel town’ which finally appears to come of age. The movie had relatively zero buzz when it hit the 70 mm screen and this factor ultimately turns out to be a blessing in disguise. Without trying to be over the top or over preachy, Paan Singh Tomar manages to hold your attention from start to end with its clap inducing dialogues, unimaginable wit and tongue in cheek humour. 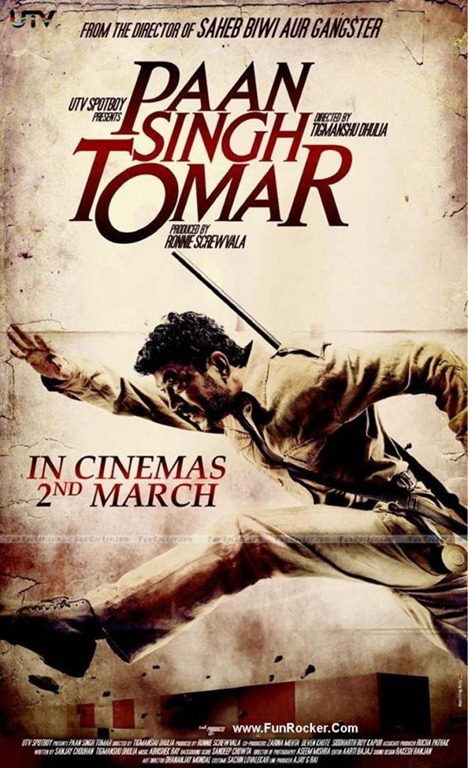 Pan Singh Tomar is a biopic on the life of an Indian athlete who was initially a member of Army and later went on to winning several national medals as an athlete. However due to land disputes and betrayal from the hands of his close ones; his life takes a U turn. What follows is a series of events that mould his transformation from an innocent army soldier to a ruthless dacoit seeking revenge. The way Tigmanshu builds up the plot is certainly a commendable effort. At the end of the film, we sympathise with the protagonist who served the nation but ultimately meets a sorry state. On various occasions, the director also manages to satirically take on the negligent attitude of government towards the sportsmen of our country (I am not talking about the cricketers here).The background score compliments the theme, the real life characterizations makes the screenplay vivid. Cinematography is effervescent. While the first half takes its own sweet time to emphasise on the growth of Paan Singh in the field, the second half gets a lot tenser with the dacoits and kidnapping coming into picture. 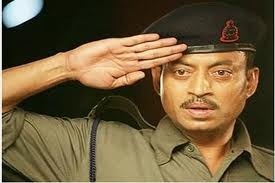 Come to think of Irrfan Khan and you are lost for words. He certainly deserves an Oscar nomination for this. It’s amazing to analyse his career graph. With each passing film, he continues to surprise you and raise the bar. And after watching this film, I would certainly vouch for the fact that Paan Singh Tomar is his best performance till date. Another performance that deserves special mention is that of the journalist who takes Paan’s interview. He brings in the much needed humour quotient in the film through his lively expressions. Absolutely nothing. Some films are too heart touching to dissect and bring out flaws. 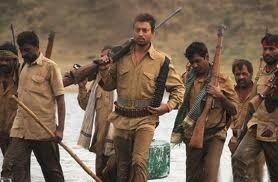 Paan Singh Tomar is one such film. Period. All in all, this one is a must watch for one and all. You are missing a cinematic treat if you don’t catch it soon. It’s a small budget film but provides double the entertainment given by any star driven ‘hugely hyped’ films. This is one sincere and honest work that needs to be lauded and praised. Watch out for the cheesy scenes between Irrfan and Mahie in the first hour of the movie. They are different, fresh and at the same time break you into a guffaw or two. Sujoy Ghosh has never been a master story teller. His last attempt “Aladdin” blew up in his face despite having an impressive star cast. But thankfully, he has played a masterstroke this time around by roping in Vidya Balan (who is on cloud nine at the moment, courtesy the national award). As a result of all this, expectations are bound to touch sky when the ushers prod you nonchalantly to your respective seats. The promotions have been low key. Yet, there is something which makes you sit back. And to say the least, the suspense element works, a far cry from the nonsensical mystery plots we have been exposed to in history. Each of the characters uses smokes and mirrors to keep the audience guessing and glued to their seats. The screen play looks extremely taut and specious. There are many moments that will send shivers down your spine! Overall, I would say this is possibly the best suspense Bollywood movie to come out this decade. Well if I go on writing about all the positives, I might end up writing an essay, so let me point out the major ones. The biggest strength of this movie is its story which moves at a relentless speed. The direction is smart. 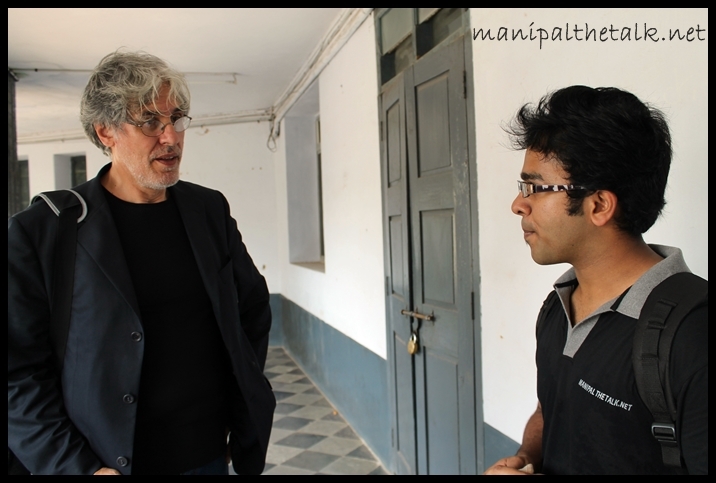 It’s quite a task enrapturing the essence of Calcutta in a film like this, where focus is towards the “action”. But the cinematographer does a marvellous job. 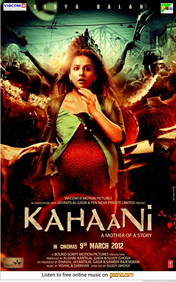 Vidya Balan yet again packs a solid punch. Her portrayal of a helpless but determined pregnant woman is easily one of her finest performances. I foresee one more award in her kitty. She is extremely convincing as an NRI woman who is determined to seek justice in spite of being bamboozled by government bureaucrats. The background score is apt and provides the much needed “eerie effect” required for such thrillers. You really need to watch this movie twice to bring out any major flaws. The director doesn’t even take any cinematic liberties in the narrative; nor is there any unwanted song hindering the pace. However, you may notice a few scenes in the second half that are stretched or over explanatory. Ok, the opening of this movie hasn’t been great. But the movie overall boasts of a number of factors that work for its favour. And with the positive word of mouth coming from all the corners, this one is surely going to pick up speed in the coming weekend. The movie is yet another testimony of the fact that a skilful actress can easily carry the whole movie on her shoulders and can break all the stereotypes associated with the Bollywood heroine. This one is a must watch; too good to be unnoticed or avoided. There are buses provided to us by the college. However there are so many people eager to catch the last minute ride, it often happens that these buses get overcrowded. Some of the students are normally hanging by the door in desperation to reach on time, despite warnings from the conductor. In a rather unfortunate incident today, a student lost his balance and fell head first behind IC. He was immediately taken to KMC and is currently in a critical state in the ICU. To address the same an informal meeting was held in front of the 9th Block basketball court. It was attended by the Chief Warden. The crowd not satisfied with the answers, went on to protest in front Mrs Kumkum Garg’s home. The director, eventually asked the crowd to move to Quadrangle, where she was accompanied by the Registrar representing the Chancellor. He started off by informing the crowd that the student’s health is now improving. For the bus incidents, he said that they had a meeting with transport officials and it was decided that the frequency of buses shall be increased with effect from Monday. 1. Lack of Action– This is not an isolated incident and no action has been taken despite repeated demands for increasing the bus frequency. 2. Speed– The drivers are quite reckless on the wheel which poses a serious hazard to the students. 3. Utility Charges– Are increased considerably in the middle of the semester. 4. Sickle Incident– The drunken auto driver was let off in one day, and no follow up was done. 5. Intake– The space in college is not enough to accommodate the required students (or the buses), then why is the intake increased every year? The authorities then decided that they needed time to discuss these issues. There shall be another meeting that would take place at Quadrangle at 12:30 PM on Monday. This meeting shall be attended by the Vice-Chancellor as well. We wish a speedy recovery of our friend and hope that such incidents do not happen again. 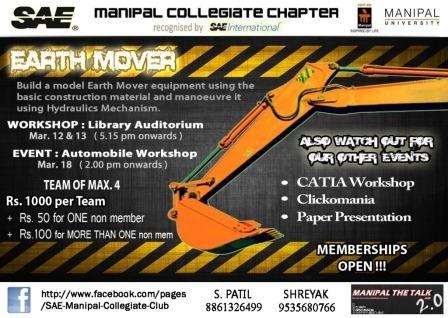 And Coming Up By SAE is..
SAE Manipal Collegiate Club is coming up with its much awaited Technical Mega-Event, ‘Earth Mover’. 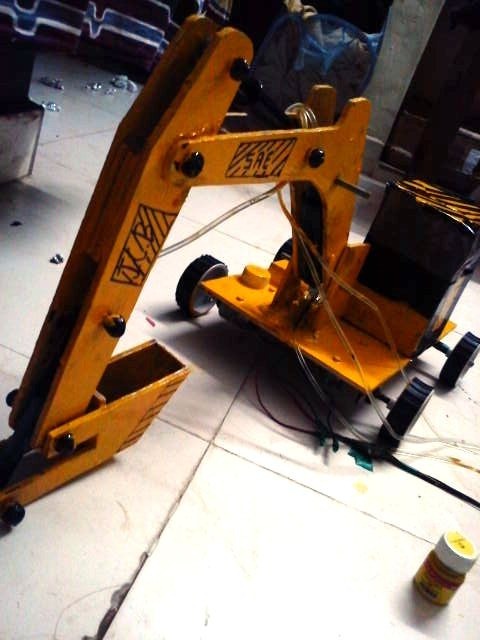 Build a scaled-down model of an "Earth-Mover". A two-day workshop for the same will be given prior to the distribution of the kit. 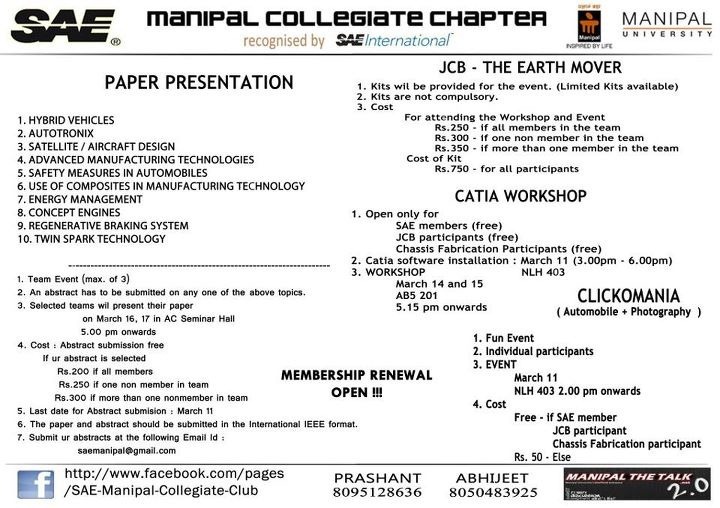 Workshop on 12th and 13th of March 2012. Register at KC, FC or Annapoorna. 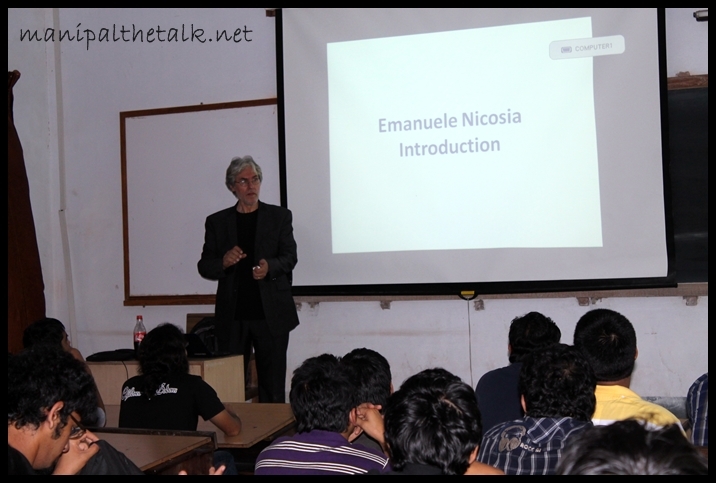 Also check out other events: CLICKOMANIA, CATIA WORKSHOP & PAPER PRESENTATIONS.